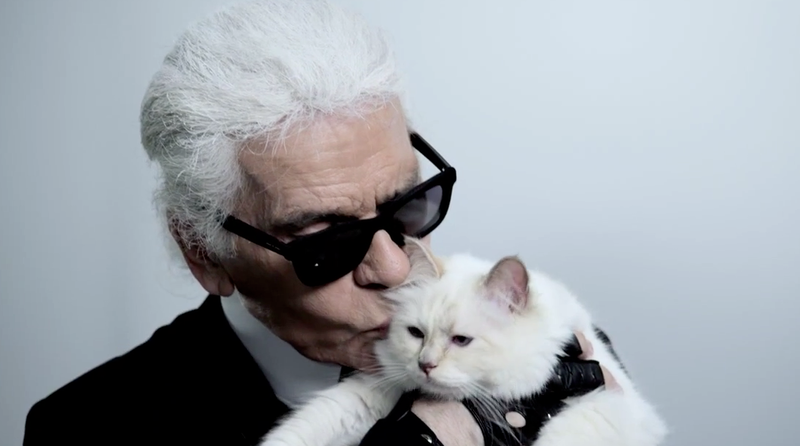 The bond between Karl Lagerfeld and Choupette, his fur ball friend has always been inseparable and is now in caricature print and a fashion statement! 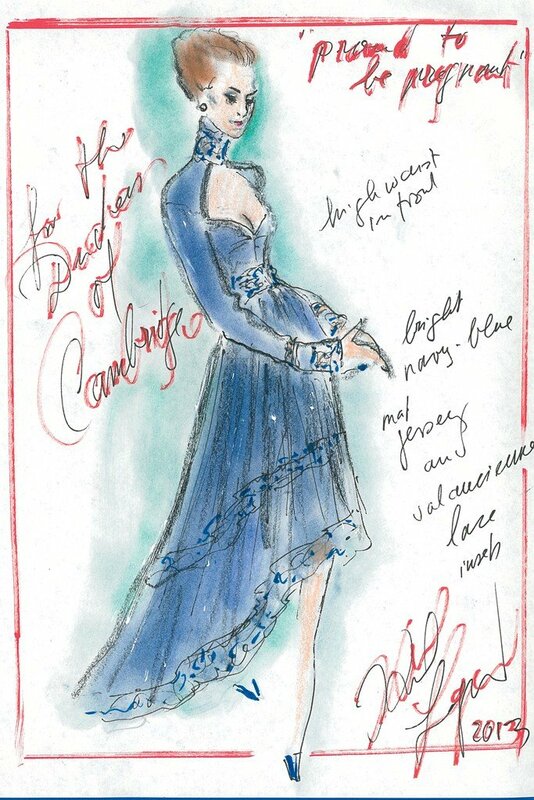 Earlier, we covered the scoop of the collaboration between the mogul designer and Tiffany Copper the French cartoonist, which is now ready to be shared with the world. 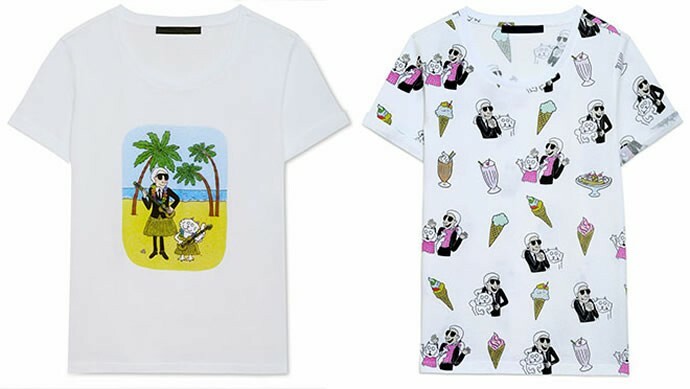 The capsule collection of tees, sweatshirts and accessories have the dynamic duo in their original styles, that is white fluffy fur for the kitty and the trademark black suit and shade for Karl, doing summer time activities together, like eating ice-creams or playing guitar in hula skirts on the beach. 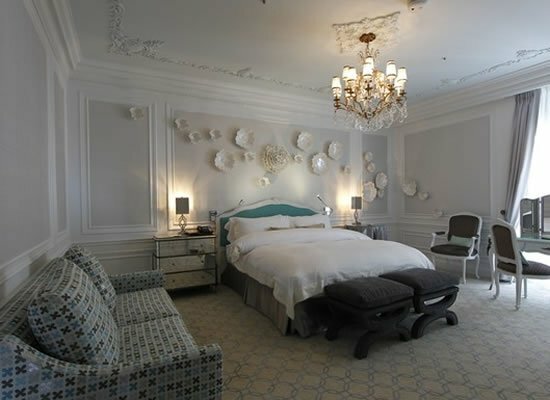 Besides the apparel, there are mock movie posters or Karl Bond and Breakfast at Karl’s in print to add to complete the light-hearted comic theme. 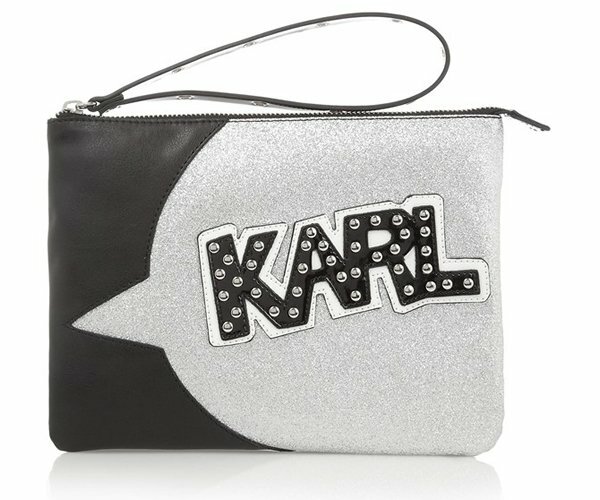 The collection is priced between $50 and $200 and is available at all Karl Lagerfeld boutiques and online at Style Bop since 4th April. 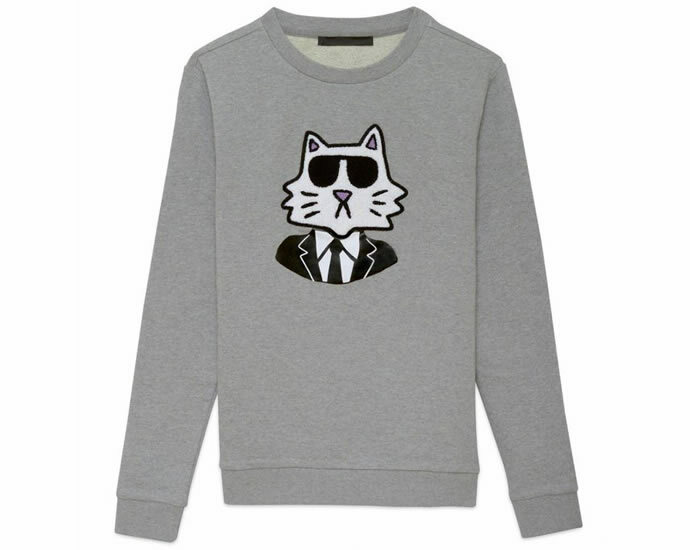 If you can’t get the whole collection, just make sure you get the cute black and white slip-ons of Karl and Choupette skating. Previous articleReady to drop $1,500 on Alexander Wang’s must-have sporty clutch?